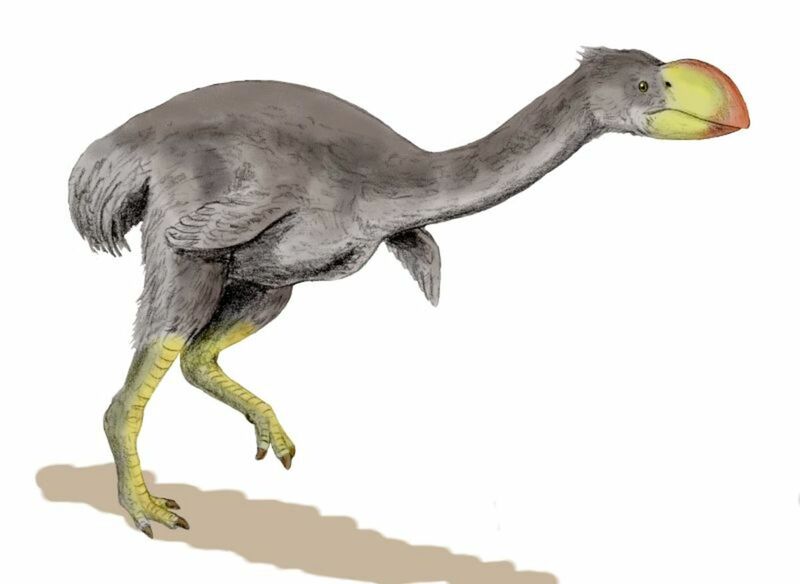 The Demon Duck of Doom, Bullockornis Planei, was an eight-foot-tall flightless bird that weighed in at over 500 pounds. It’s extinct now, thankfully for those who like to feed the ducks and geese in the park, but in its day it was a formidable predator with a nasty beak, powerful legs and massive head. Bullockornis was huge, but not nearly as big as some other giant, flightless birds that have trod our planet. New Zealand was the land of the Giant Moa, a massive 12-foot bird that lived up until the 16th century. In recent times too, on the island of Madagascar, there lived a beast called Aepyornis maximus. 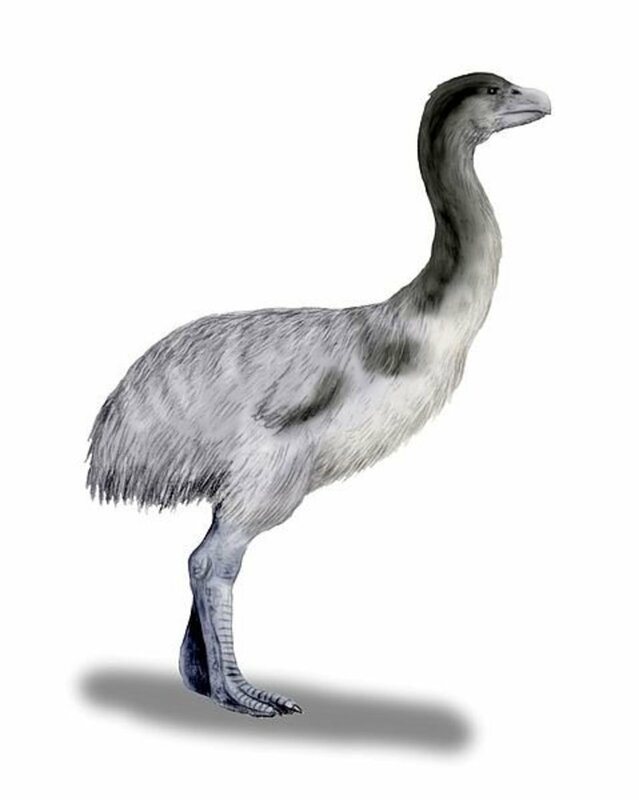 Also called the Elephant Bird, this creature could weigh up to half a ton. But, despite their incredible size, these monsters were herbivores without much of a killer instinct. They were both eventually hunted out of existence by humans. Bullockornis would have put up with none of that. Of all the terrifying prehistoric beasts that once roamed our planet, this monsterous fowl was among the meanest The Demon Duck of Doom was a carnivore, a meat-eater that had few rivals in its prehistoric world. With a head as big as a horse’s it would have made short work of most anything that came its way. But some say this bird does not deserve its fearsome nickname, and the experts have it all wrong. Here's a closer look at this fascinating fowl. Was Bullockornis Really a Duck? There are other demon ducks as well. 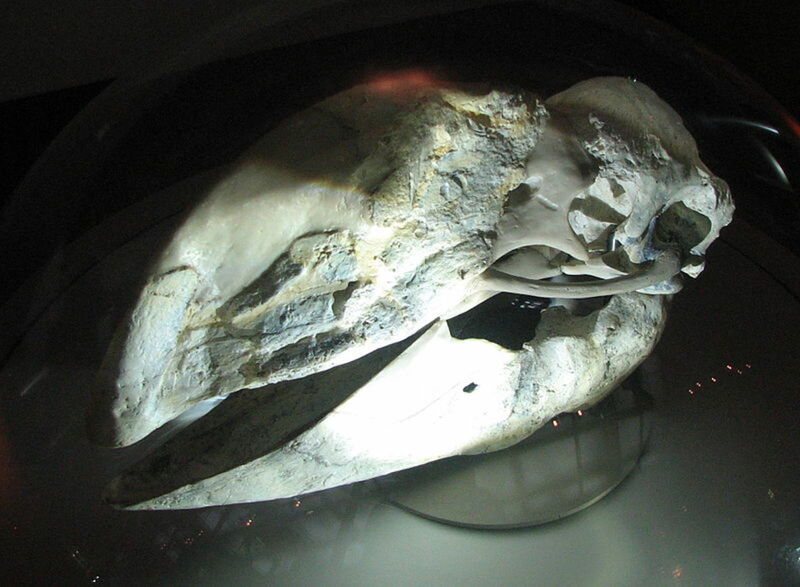 The family Dromornithidae consists of seven in total, all from Australia like Bullockornis. The smallest was Barawertornis tedfordi, which stood five to six feet tall and weighed around 200 pounds. 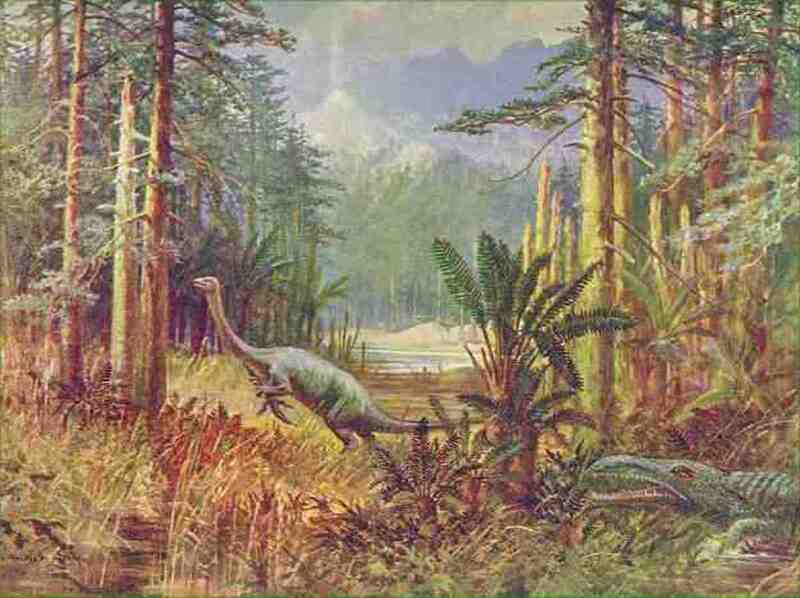 The largest was Dromornis stirtoni, which was ten feet tall and weighed a thousand pounds or more. Those are some long, strange names, and if there is one thing paleontologists love to do it’s argue about long, strange names. So it’s not only understandable but almost expected that there will be some dispute about the exact placement of each of these beasts within the fossil record. One of the problems is the very place and time these birds lived. 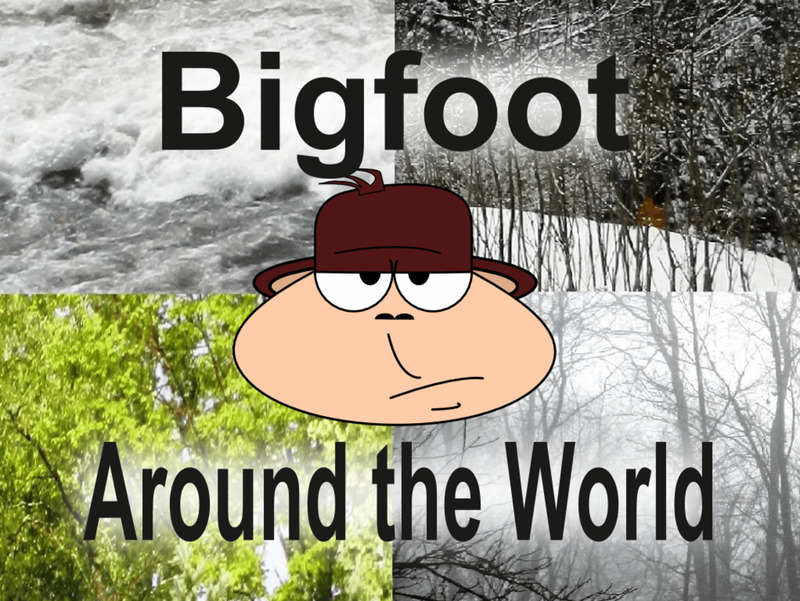 Australia of millions of years past was a place of dense green forests and changing climates. This is not necessarily conducive to the fossilization of animals. For many of these birds, the fossil record is lacking and their background isn't complete. As more information is gathered the picture will no doubt become clearer, but as for right now it looks like Bullockornis was indeed a giant, carnivorous, prehistoric relative of today’s water fowl. Was the Demon Duck a Danger to Humans? The Demon Duck lived in the forests of Australia during the Miocene Epoch, about 15 million years ago. This was the period leading up to the age of the megafauna, and contemporaries of Bullockornis would have been marsupial lions, carnivorous kangaroos and tree-dwelling crocodiles. However, one species that did not share the land with the Bullockornis was humans. Modern humans did not evolve until long after the Demon Duck went extinct, and there is no evidence that more ancient species of humans ever made it to Australia. So, there were no scenarios where our ancestors were forced to flee from this gigantic, quacking menace. However, it appears at least one of of Bullockornis’s ancestors may have had human on the menu. Genyornis newtoni stood over six feet tall and had a heavy build. This slightly smaller demon duck would have lived alongside early humans for thousands of years, and is even depicted in Aboriginal cave paintings. Did early Australians hunt the Genyornis? Probably. The megafauna of Australia began to vanish around the time the first humans came to the continent. The same was true in North America. Wherever humans went, animals disappeared. This could be because humans simply out-competed other large animals for resources, or, more likely, it could be due to human hunting. But could the Demon Duck Genyornis have preyed on humans? The chilling answer is again probably. The Demon Duck of Doom’s massive size and powerful beak are its most stunning physical features, but they have also caused the most debate. Many researchers believe Bullockornis was a carnivore, but there are dissenting opinions as well. Basically, there are three scenarios. In the first, this bird is a predator and a meat eater. It hunts its prey, and has the ability to move fairly quickly. The massive beak and powerful body paint the picture of a beast that could easily bash its dinner into submission, and have little trouble consuming it. Opponents to this idea point out the lack of a hook on the beak, as well as possibly poor vision, would have rendered the Bullockornis a fairly ineffective hunter. They say this duck was neither a demon, nor of any doom to speak of. It was a humble plant eater, posing no threat to any passing beast. The large beak may have evolved to break off stalks or crush up tough plants or husky fruits. Its size would have helped it reach food higher up in the trees. In the third scenario, the Demon Duck is an opportunist. It may have taken down weak or easy-to-catch prey, but more often than not it was a scavenger. Its large size would have come in handy for scaring off predators and its big beak would have made short work of whatever bounty it stumbled across. Thinking of the Bullockornis as an herbivore is like running into your favorite professional wrestler in a restaurant and finding him eating a salad. It just aint right. With a name like Demon Duck of Doom it’s hard to imagine this beast would only be threatening to celery. 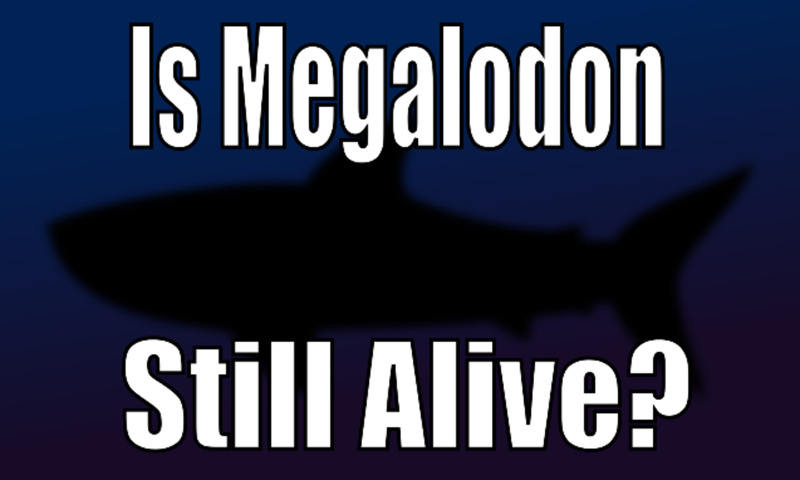 As the fossil record reveals itself, hopefully so will the answer. But what about the idea that Bullockornis could still be alive and well today, somewhere in the Australian outback? While there are occasional reports of Giant Moa sightings, and some believe them still to be alive somewhere in the dark corners of New Zealand, the case for Bullockornis is a lot tougher. The Moa went extinct only a few hundred years ago, where the Demon Duck has been gone a lot longer, and not due to pressure from humans. A better case may be made for Genyornis. Are there pockets of this last member of the Demon Duck family somewhere in Australia? Stranger things have happened, but not many. If you do happen to encounter one of these birds it’s probably not a good idea to stick around taking pictures to share with your friends on your Facebook page. Running away as fast as you can is a much better idea. They don’t call Bullockornis Planei the Demon Duck of Doom for nothing. What are the chances one of the demon ducks could still be roaming the Outback? Good. Australia is huge and you never know what could be out there. Maybe, but it seems really unlikely. No way! How can we miss an 8-foot duck? Great article! I had never heard of the demon ducks of doom before and now, I think I can safely say that my drinking buddies will now consider me an expert. Fascinating stuff. Thank you. Real interesting and a bit creepy. A fascinating read, Cryptid. Voted up for interesting! Thanks Brendon. You're the second person to mention the Demon Duck would make a good subject for a (bad) movie. Maybe I'll have to start writing a script! A really inspiring hub. I simply love these bizarre prehistoric creatures and would like to learn more of our own that roamed the Karoo in South Africa. Lastly, "Demon Duck of Doom" sounds like a great Friday night movie - straight to video store of course! I'd watch that movie! Thanks FFC! Very interesting info on a critter I'd never heard of before!! "Demon Duck of Doom" sounds like it could be one of the SyFy Channel's Saturday night movies! !